When Christians talk about Jesus' sacrifice at the cross, Muslims and even some Jews begin to get upset, although they do so for entirely different reasons. Muslims say Jesus' sacrifice was unnecessary because their Allah is almighty, and therefore does not need sacrifices to forgive the sins of mankind. On the other hand, some Jews totally reject the idea, calling it "a human sacrifice" that is totally alien to the Scriptures. So who is right? As with all things to do with Christian doctrine, we will turn to the Bible to see what it says. First we'll take a quick trip through Bible history to see where the practice of making sacrifices unto God began. Some believe that the very first time that blood was shed to cover up the sin of man was after Adam and Eve fell in the Garden of Eden. Moses records that event for us in just the third chapter of the very first book of the Bible, the Book of Genesis (Bereshis in Hebrew). It is a logical assumption that God was forced to shed the blood of the first animal or animals to clothe the two sinners, hence the belief of some that this was the first sacrifice for the sin of man. 3 In the course of time Cain presented some of the land’s produce as an offering to the Lord. Many years later, God decided He had had enough of the sinfulness of man. He called out Noah and his family to build an ark to save them from the flood He was about to send on the earth. Noah built the ark and the flood came and destroyed all other life on the earth. Once the waters had receded and he was back on dry ground, what did the grateful Noah do? As early as Genesis 7, or about 4,50 years ago, YHWH had already identified to His people which were the clean animals and which were unclean as sacrifices to Him. But we're not quite done yet following the trail of this teaching. And then there was "the father of faith," Abraham. He is called that because the Lord tested him in a way that He had tested no one else before or since. YHWH called Abraham to sacrifice his only son, Isaac, to Him. Abraham had waited many years to finally be given the child of the promise (Genesis 15), but now here is God asking him to offer him up! 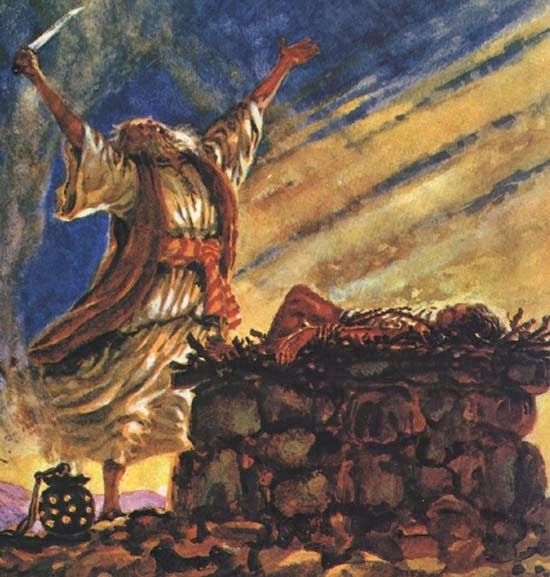 Abraham obeyed God and prepared to slay his obedient and mature son Isaac, trusting and believing in YHWH that He would bring Isaac back to him, even from death. But did the practice of making sacrifices to God end that day on Mount Moriah? No, it did not. More than 4 centuries later, YHWH brought Moses into His service to call His People out of the land of Egypt, where they had been living in slavery. Every year since then, the Jews have celebrated Passover by eating the roasted meat with unleavened bread and bitter herbs in remembrance of how YHWH delivered them from slavery. YHWH then taught Moses the Law so that he could teach it to the Israelites. It was Moses who God instructed to institute the daily sacrifices in the Tabernacle, following a precise procedure that was given to him by God, including how the animals and other sacrifices were to be prepared and offered unto YHWH daily for the sins of Israel and of the world. In the centuries which followed, Israel remained under orders to keep Moses' Law. None of Israel's leaders was ever exempt from having to keep the Law, from Joshua to King David and King Solomon. All of them were under God's mandate to make these sacrifices and offerings. When at last a Temple was built in Jerusalem, the Temple which King David had wanted to build to honor YHWH but which was instead built by his son Solomon, the daily sacrifices continued as they did in the more mobile Tabernacle, but in a much grander setting. And just as Aaron and all his successors had done since Moses' time, each year the High Priest would enter through the Veil which separated the inner temple from the Holy of holies where God's Presence dwelt to make an offering for the sins of all Israel and for the world. 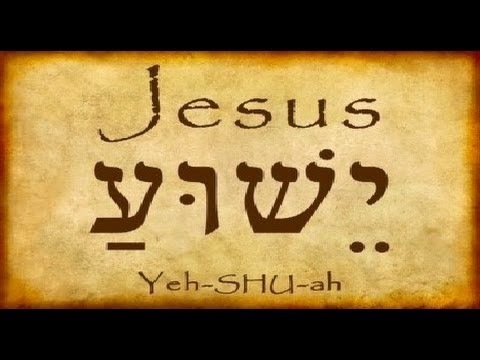 And YHWH would signify His acceptance of the offering through consistent miraculous signs year after year. 29 The next day John saw Jesus coming toward him and said, “Here is the Lamb of God, who takes away the sin of the world!" 10 Yet the Lord was pleased to crush Him severely. Jesus became our High Priest Who will never need to make another offering ever again because He Himself was the One Perfect Sacrifice for the sins of man once for all. 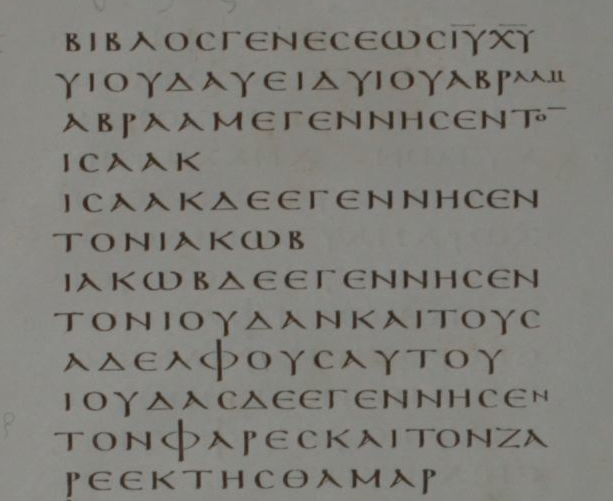 How do we see the principle of Leviticus 17:11 applied in the New Testament in Hebrews 9? It was the perfect and sinless Jesus Who, through the shedding of His blood on the cross, secured for us our salvation, the forgiveness of our sins. But is there any evidence that Jesus' sacrifice was accepted by YHWH, apart from the testimony contained in the historical document we call the New Testament? It appears that there is indeed some additional corroboration from Jewish Talmudic sources about those miraculous signs that YHWH used to do. "Forty years before the destruction of the Temple, the western light went out, the crimson thread remained crimson, and the lot for the Lord always came up in the left hand. They would close the gates of the Temple by night and get up in the morning and find them wide open." (Jacob Neusner, The Yerushalmi, p.156-157). "Our rabbis taught: During the last forty years before the destruction of the Temple the lot ['For the Lord'] did not come up in the right hand; nor did the crimson-colored strap become white; nor did the western most light shine; and the doors of the Hekel [Temple] would open by themselves." (Soncino version, Yoma 39b). 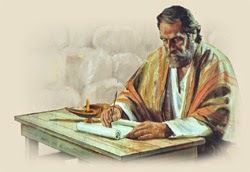 You will find a more complete explanation of these signs in the article linked to below entitled, "Talmudic Evidence for the Messiah at 30 C.E.," but suffice it to say that YHWH ceased to do the miracles associated with the annual offering at just about the same time that His one and only Son was put on the cross and died. Stop for a minute and let that sink in. All through the years that the Jews had been making offerings to YHWH for the forgiveness of sins, He had sent them signs to show that their offerings had been accepted. But after His Son died on the cross as the once-for-all replacement for all other sacrifices, once His blood had been shed as the seal of the New Covenant, no further bloodshed and sacrifice was necessary. And so YHWH stopped accepting any other offerings. Those miracles stopped because the greater miracle of lives being changed from the inside out -- of sins that were like scarlet now being made white as snow -- those had begun. Sinners like you and me could now be restored to a right relationship with God. The Father had made the message frightfully clear that Messiah's death on the cross was important. After all, YHWH had caused it to be accompanied by, among other things, darkness (from noon until Jesus' death at 3pm), an earthquake, and the ripping in two of the very same Veil which used to bar access to all except for Israel's High Priest. 16 “For God loved the world in this way: He gave His One and Only Son, so that everyone who believes in Him will not perish but have eternal life." This was the mighty love that drew Messiah to that cross. A selfless and unbelievably generous love that was poured out for you and me on that cruel tree 2,000 years ago. Jesus went to that cross willingly every step of the way because He knew your soul was worth it. 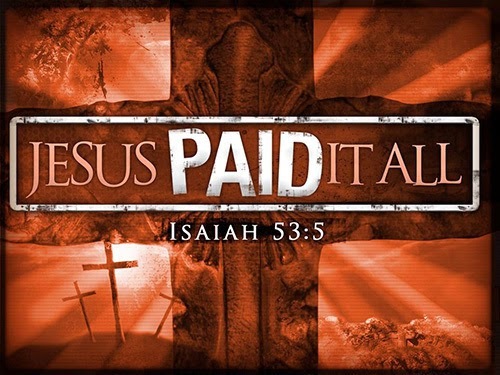 It was for you that He endured the cross. It was for you that He bled and died. so that you might live with Him forever! If you have not done so yet, would you give Jesus your heart today? It is the best way to express your thanks for what He did for you. With thanks to Dr. Michael Brown, who mentioned the Talmudic reference in one of his debates with a rabbi.